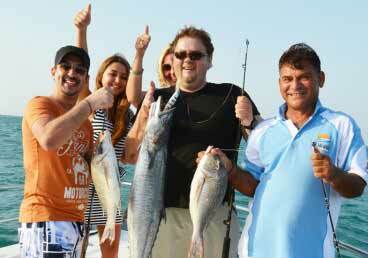 If you are looking for an economical option for fishing, let us book your seat on sharing trip. It is 4 hours trip from 8:00 am to 12:00 noon. You and other fellows step up in our yacht. Your captain and crew describe the trip plan, and you build rapport with other people on the trip. With your new fishing buddies, your sharing fishing trip departs from the Dubai Marina Yacht Club where our skilled captain steers the boat into the deeper waters where fishes abound. On the way to the fishing spot, our crew delights everyone with an interesting and informative talk which includes fun fishing stories as well as tips and tricks on snagging that prized catch. 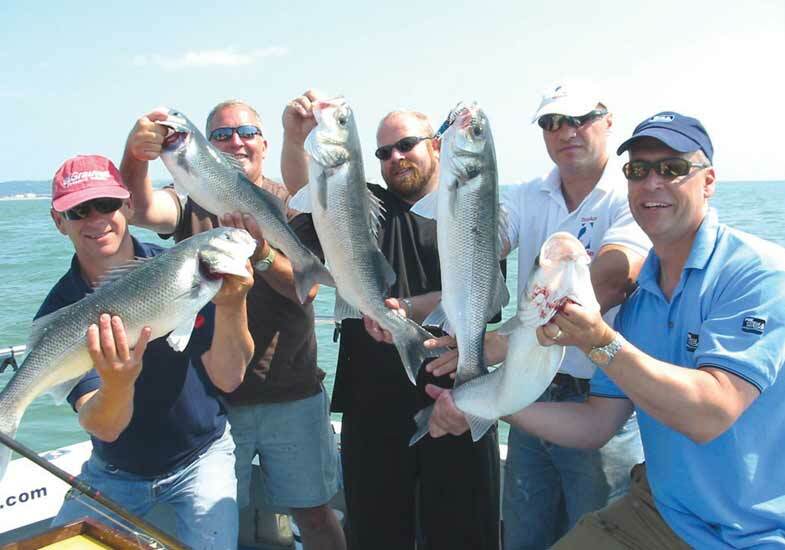 Complimentary fishing equipment and state-of-the-art fishfinder and navigation system on our yachts make this fishing excursion exciting and worthwhile for everyone. Bait your hooks, cast your lines, and patiently wait for the fishes to bite. Take advantage of this quiet time to sit back and relax. 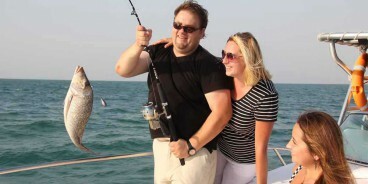 When you finally feel a tug and pull on your fishing rod, surrender to the thrill of reeling your fish in and landing it on the boat. 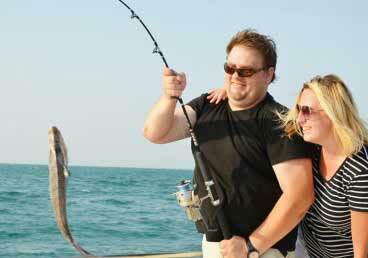 Do not forget to take a souvenir picture with your catch to keep the memories forever. 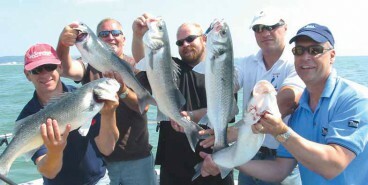 You have the option to grill your catch and feast on them onboard the yacht. Nothing tastes as juicy and satisfying as a freshly caught fish hot off the grill! As your fishing trip winds down and takes you back to the marina, you are guaranteed to feel a sense of exhilaration and excitement that stays with you long after your fun fishing in Dubai trip is over. Not to mention making new friends who also love fishing as much as you do. 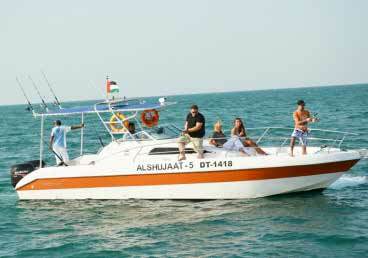 Trips are subject to Dubai Coast Guard approval and weather conditions. 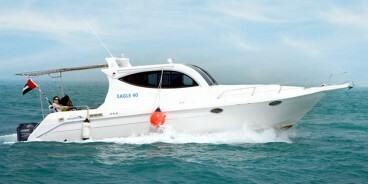 The departure and arrival point of your trips is the Dubai Marina Yacht Club. 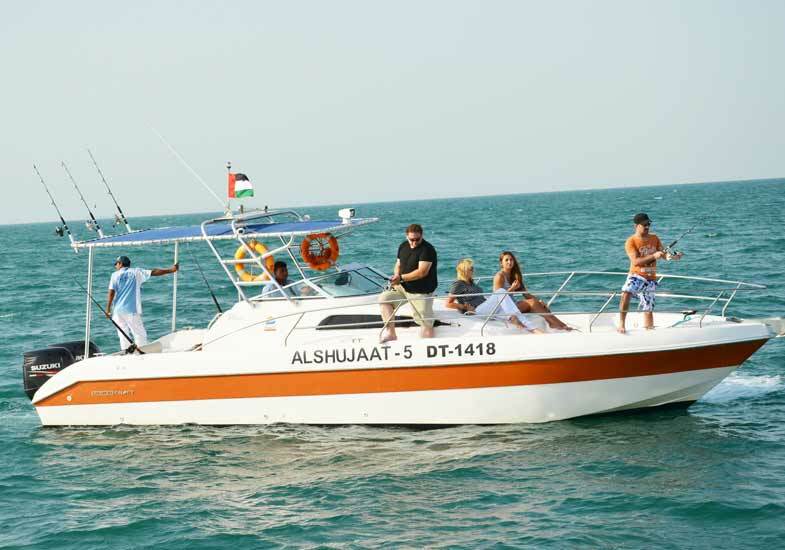 Our boats are adequately maintained with the best and most amiable captain and service crew onboard. We reserve the right to cancel or postpone your yacht charter for reasons beyond our control, such as severe weather conditions, equipment malfunction, government policies, or force majeure. We will offer you a refund or work with you to reschedule your tour at a later date. If you cancel within 24 hours of your scheduled yacht charter, or if you and your guests do not arrive at the designated time, you will be charged the full cost of the activity.